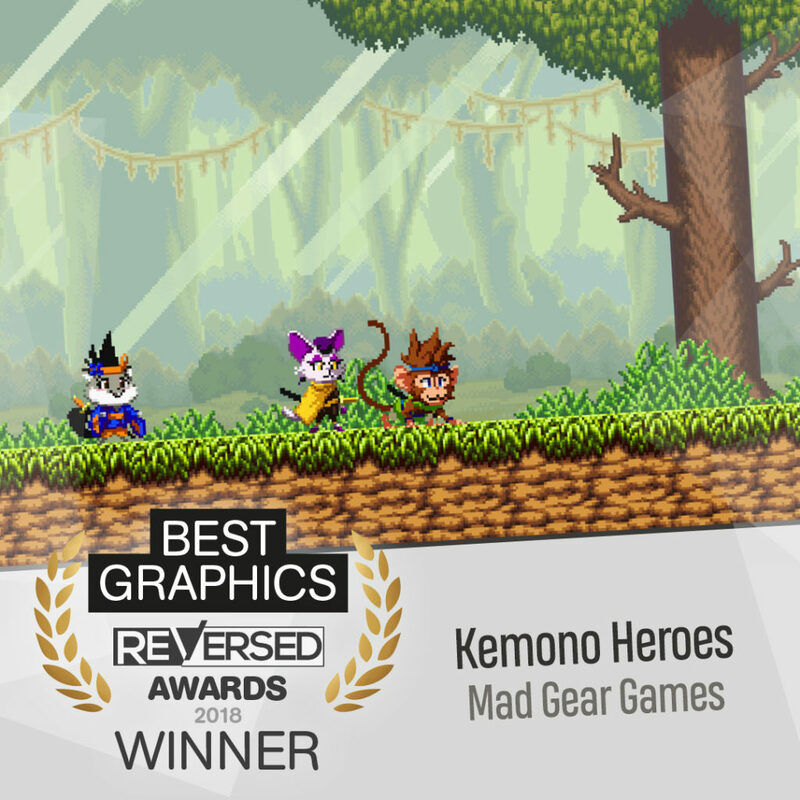 We are proud to announce that Kemono Heroes won the Grand Prize and also the Audience Choice Award at Button Festival‘s SAGA Awards. We are very happy to know our game is enjoyed by critics and players alike and we’ll work hard to polish it and make it available for everybody to enjoy. Thank you so much to all the people who made this possible. We love you! A Hole New World Coming To Nintendo Switch on 1st March 2018! Cádiz/SPAIN, Graz/AUSTRIA, Tokyo/JAPAN, Buenos Aires C.F./ARGENTINA, February 20th, 2018; Everybody knew it was going to happen. Mad Gear Games knew it was going to happen. It is happening. 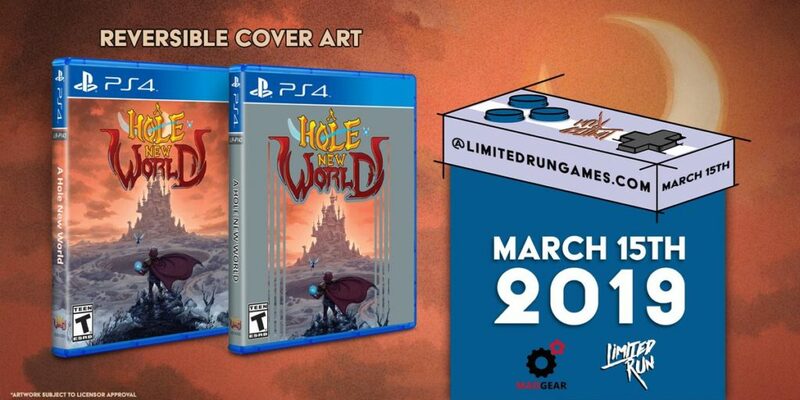 A Hole New World will release on Nintendo SwitchTM 1st March 2018. 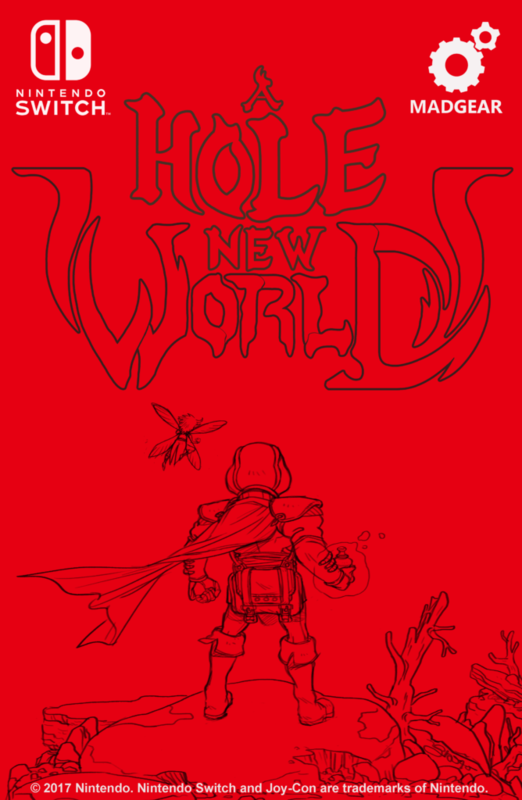 A Hole New World, successfully funded via Kickstarter in 2015, was originally intended to release on Wii UTM. A year after the console’s launch, finally, the game will release on Nintendo SwitchTM. A Hole New World is a game inspired in the classics, with an easy two button scheme of controls, one button to jump and one to shoot, so the challenge is in the game, not in the controls. It also can be enjoyed from minute one, because there are no tutorials that make players wait for the action. The game released in 2017 was well received by critics and players and was nominated as “Best PC Game” and “Best Technology” by “The Spanish Academy of Interactive Arts and Sciences” and “Best Game” by Austrian “SAGA Awards” among others. A Hole New World will release at Nintendo eShop on 1st March 2018. At Mad Gear Games we love 2D games like Castlevania, Mega Man or Ghouls ‘n Ghosts. We thought it would be great to make a game as fun as those we’ve played so many times. And we did it! We created a game that was super fun for those who didn’t want complex controls nor boring tutorials, just great playability! We proudly let players test A Hole New World at several gaming events, and then, we found something out. Turns out not all players were so fond of the eighties level of difficulty. 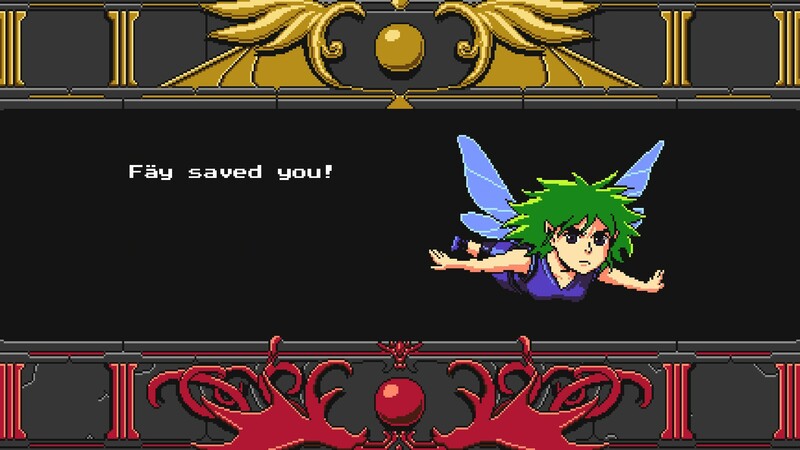 And so, we created Fäy, your fairy companion. She made the game much more enjoyable to everyone, saving you from dying, and allowing all players to advance further in the game. However, for those who demanded more challenge, we made several endings, a super challenging Game+, a Boss Rush (oh boy the boss fights!) and a Challenge mode. 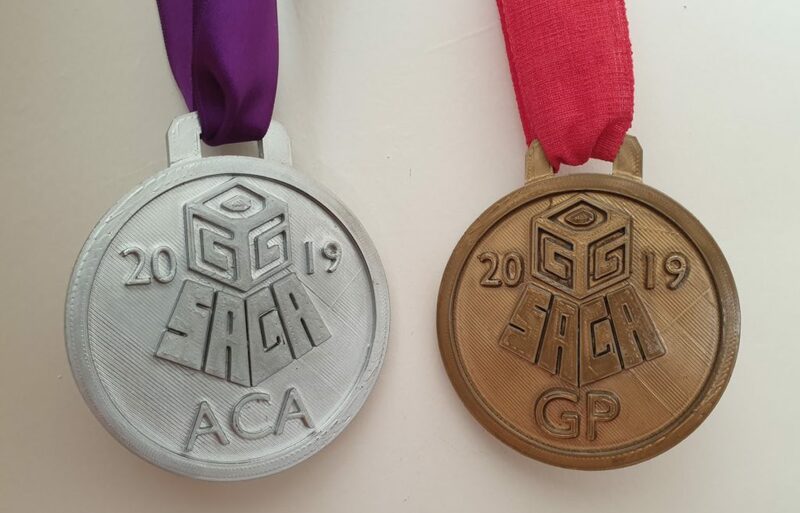 Not to mention the achievements! You can be super proud of your skills if you unlock all the achievements! 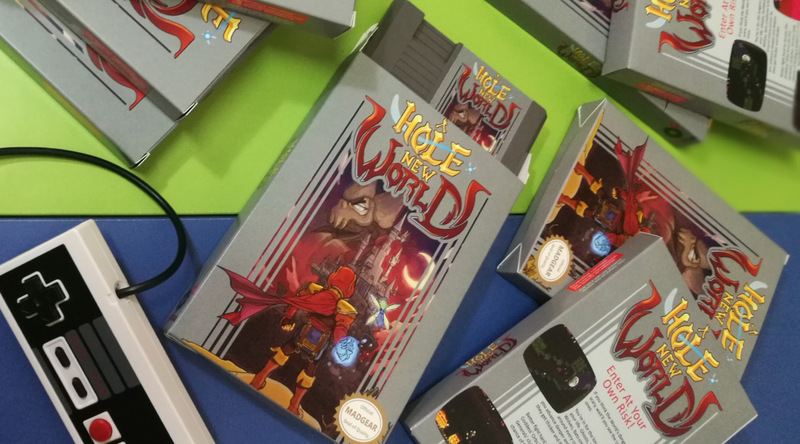 We are convinced that not that many people will be able to accomplish such a remarkable feat, and so, we awarded a collectors A Hole New World NES cartridge to the first 3 to do it and contact Mad Gear Games via Twitter or Facebook. 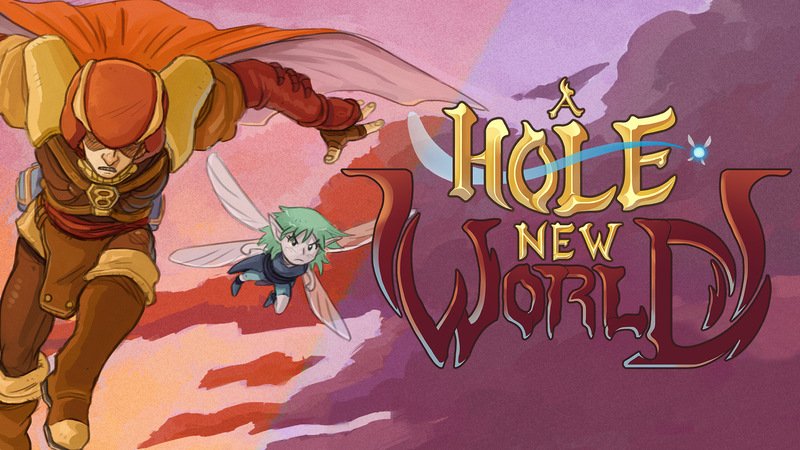 A Hole New World got funds through a successful Kickstarter campaign where one of the rewards was to become an NPC in the game. 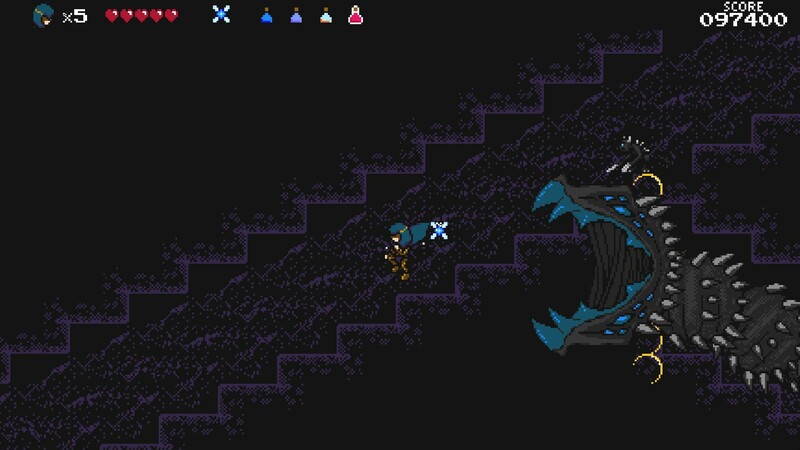 This led us to add a component of exploration to the game as well. Thus you can play the game as straight forward as a classic arcade game, or you can also search for all the secret NPCs and items spread through all the stages, making it more appealing for those looking for more puzzles and exploration in their cup of adventure. As I was saying: a game for all tastes. You like good ol’ chiptune music? Good! Sit and enjoy. Maybe it is a bit too much for your ears? No worries. Go to sound settings and switch to Super! We’ve got you covered. Players have enjoyed the game in all the latest events we’ve been and we’ve worked hard so you, no matter what games you like, enjoy it too. We can’t wait to hear your experiences in A Hole New World’s new fantastic point of view. What do you say? We wanted the most talented players (Super players!) 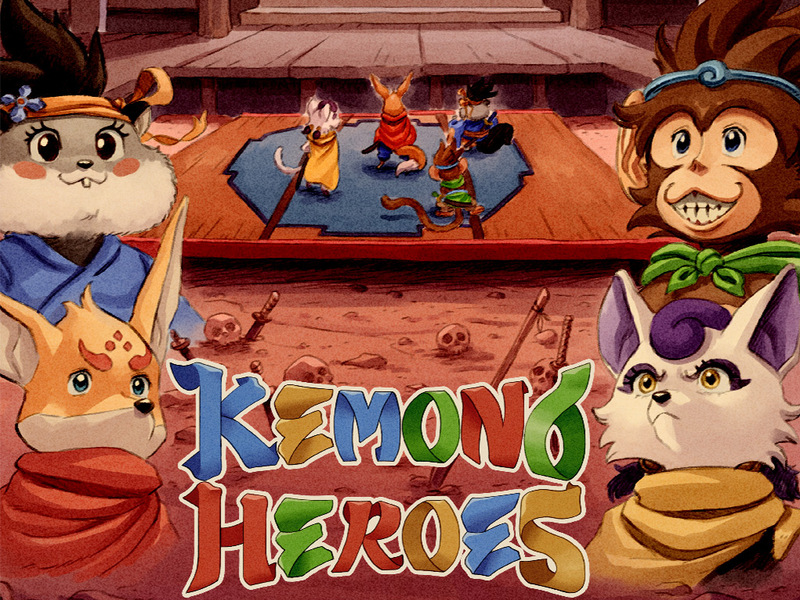 to be able to play Kemono Heroes as we make it, to get the best possible feedback. That’s why we decided on giving Super Early Access to those who beat A Hole New World’s good ending. 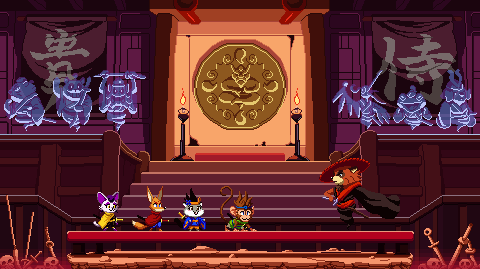 Now, we’ve almost finished one of the five stages we want to make for Kemono Heroes and very soon all Super Players will be able to taste it!